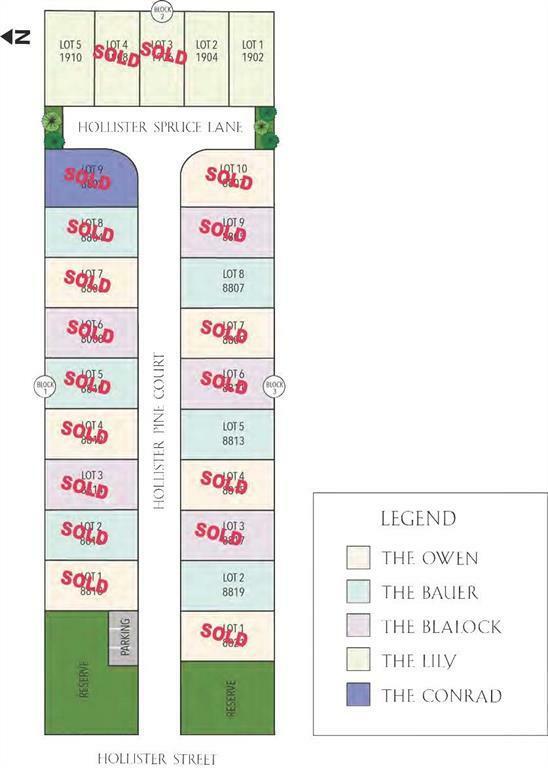 1902 Hollister Spruce Lane features "The Lily floorplan in the gated community of Hollister Park by City Choice Homes. 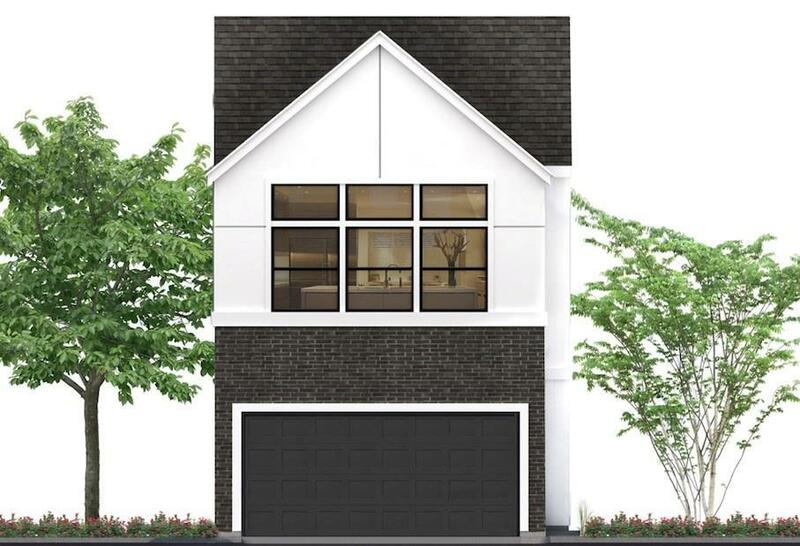 Available as a pre-construction sale, this 2-level residence consists of 3 bedrooms, 2.5 baths with an open-concept design that allows for effortless flow. On the first floor you will find 2 sizable guest rooms with walk-in closets and a bathroom with tub/shower clad in porcelain. 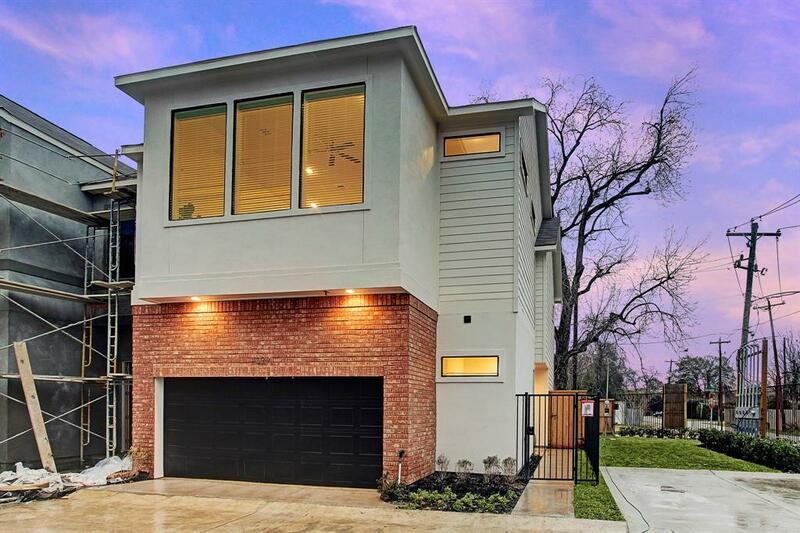 Ascend to the 2nd level, you find an exceptional kitchen with quartz countertops and shaker cabinetry that opens to the dining and living area with 10 ceilings throughout. 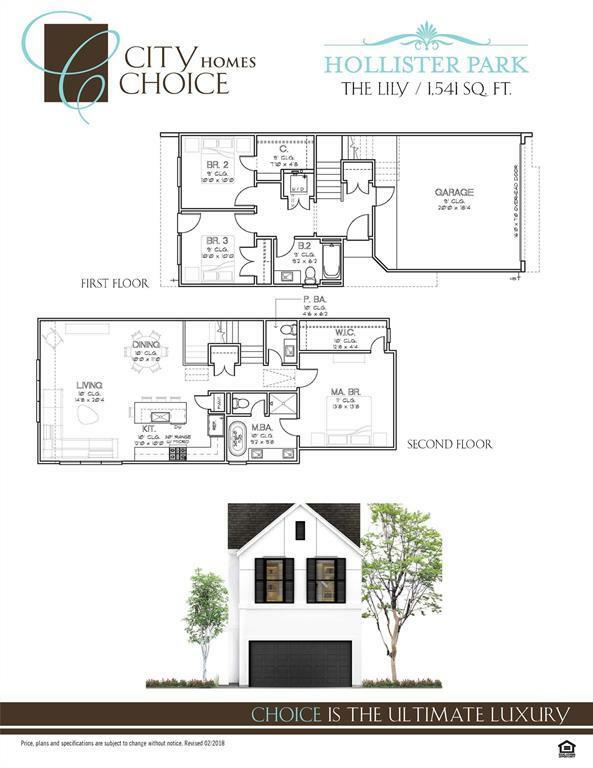 The grand master suite is also located on the 2nd level, featuring separate vanities with quartzite countertops atop shaker cabinetry, a jetted therapy tub, a glass enclosed shower with Moen plumbing fixtures and over-sized walk-in closet with built-ins.